Dave Hall is a well-known and highly regarded Lubricant and Additive Industry Technology leader with experience in a wide variety of senior technical, managerial, and commercially focused roles in BP Chemicals, at Lubrizol, and in BP-Castrol. He is an enthusiastic and driven individual with a desire for personal and team success. Dave has an impressive track record of success and building organisational technology capability. Dave currently leads the Fuels and Lubricants OEM Technology teams at BP-Castrol and holds positions on the leadership teams of FPT (Formulated Products Technology) and Downstream Technology. Dave has been the architect for designing and delivering the lubricants technology product pipeline strategy and architecture; has orchestrated critical technology relationships with many car manufacturers, and has delivered differentiated performance claims across the product range supporting the BP-Castrol premium position. Dave received BP ‘Distinguished Advisor’ status in 2010; BP’s most senior technology position, in recognition of his technology contribution and importance to the Lubricants business and advisor to the wider BP Group on transport, lubricants, fuels and hardware trends and strategy. Prior to BP, Dave worked in the additive industry in Adibis and Lubrizol. He held a range of technology and customer interface positions at various levels of seniority. Dave holds an MA and PhD in Chemistry from the University of Cambridge. BP is one of the world's largest energy companies based in UK. Our main activities are the exploration and production of crude oil and natural gas; refining, marketing, supply and transportation; and the manufacture and marketing of petrochemicals. We also have a growing presence in gas and power and in solar power generation. We operate in 100 countries with well-established businesses in Europe, North and South America, Australasia and Africa. Our industry will be judged by outputs not inputs. That´s why we focus our efforts on the areas of science and technology that will make the biggest difference to our customers and the long-term future of the global energy business. This means working in partnership, often at speed and on a global scale. Above all it means putting technology to work where it really counts. Technology has put us ahead in the search for new oil and gas reserves. 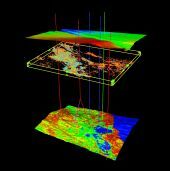 Using seismic imaging techniques developed by our experts, we can explore beneath subsurface salt formations that conventional seismic imaging cannot reveal effectively. Advanced technologies like these have helped us make major discoveries in places like Western Nile Delta of Egypt and Angola, and achieve some of the lowest finding costs per barrel in our industry. Technology has transformed the way we develop new discoveries and mature fields. Our field of the future TM management system means we can monitor and optimize production processes in `real time´ and could increase recovery from BP fields worldwide by 1 billion barrels. Recent breakthroughs in drilling technology have improved efficiency and equipped us to push the boundaries in places like the Gulf of Mexico where there are extreme reservoir conditions. Technology has helped us extend the range of crude oils that can be refined profitably. Powerful proprietary software allows our integrated supply and trading teams to buy and distribute crude oils more efficiently than any of our competitors, while our success in developing innovative products has been equally impressive. Premium fuels such as Ultimate and Castrol lubricants have proved that `green´ products make commercial and environmental sense. Looking forward, we believe technology can help us make alternative energy sources like solar economically viable and the `carbon-free economy´ a reality. Along the way, a new generation of `low carbon´ and `de-carbonised´ fuels - made possible thanks to technology that removes CO2 from fossil fuels - could also help us bridge the gap to a carbon-free future.